Being able to have a beautiful outdoor setting is only possible when you have the right outdoor furniture and other additions to achieve an attractive look. If your home has a very big outdoor space, you will be better off making it a welcoming place for your visitors and even your family when the inside has become quiet stuffy and sitting outside is needed. There is always the need to be very careful how you go about choosing the important or essential things for your outdoor furniture and also how to go about making sure your outdoor furniture is very attractive and stylish. 1. Clean, repair and maintain it. These three things are very important even before you decide to setup an outdoor space for relaxation in your home. Even before you make the decision to bring or add any deck to your outdoors, you need to have a very firm foundation. Even a very well polished surface change cannot put out of sight a deck that is not in perfect state, unclean, and has filthy boards. Make sure you have a regular time table for cleaning and maintaining your deck as well as to repair it. This way, it will always be in the best condition and will also be safe no matter the elements. Make sure you get an expert to fix all the parts of the deck you have no idea about fixing. 2. Areas to sit and for storing stuff. Never forget adding a sitting and storage area to your outdoor setting because they are very important part of the outdoor setting. Just like you will never want to deprive your insides from having window seats because you need them, it is important that benches are made available for the deck. These can be added to make available the best sitting space and also enough space for storing stuff that are meant for outdoor games and also other décor. When there are enough sitting spaces, you will have the whole family feeling very comfortable outdoors. Since no one wants to come to your deck and stand or sit on an uncomfortable chair or table you have there, there is the need for you to make sure there is real furniture available. Make sure all benches are covered with very comfy and attractive cushions or foams covered in fabrics that are going to stand up to fighting against the elements. You can additionally add very comfy outdoor throw pillows to add another level of comfort as well as style. 3. Add more and more pillows. Comfy and lovely pillows always have a way of luring people outdoors especially if they are well designed. If you want to attract your loved ones or children more to start sitting outdoors that can easily be done by tempting them with pillows. You can also hang back on your deck for many hours on soft pillows to attract other family members in the house. Make sure the pillows you buy or use are pretty and durable pillows that are designed or made from exciting outdoor materials that can be easily found in home stores and that will be able to stand against the sun and rain. You can cover all your pillows with an indoor-outdoor material. Make sure you cover all existing pillows to protect them. Put some of the pillows on the bench and make sure they have bright colored fabrics with tones for pops of shades. 4. Make sure you always cover your outdoor furniture. There is always the need for the right covers to be made available for your outdoor furniture. Having a sturdier or strong covering that can stand heavy rain falls, it will be best to buy a traditional roof frame that is made with clear polycarbonate panels. They will help a lot. Do not leave your deck uncovered just to have rain and sun destroy the expensive and elegant outdoor furniture you have packed. Get an expert to fix covers for you if there is no way you can do it perfectly. Covers for outdoor decks are not so costly and can also be made by expert wood workers. 5. Wrapping around also helps. Having an outdoor deck with quality furniture is not the only important features for safety if you are truly considering safety with your outdoor space. You can always make sure there is a barrier, gate or other form of entry method to make your deck a very safe and welcoming place to be in. This helps to show people how serious you are and how well you planned your deck. Also, the fence offers a raised area that is for built-in planters, bird feeders and also bird baths and this will be perfect for those who love and appreciate the joy birds bring. Railing can also offer platform for all other garden ornaments you want to fix to beautify your outdoors and the deck. Also, you can add or top your fence with a shelf to make sure it is able to double as a place where drinks can be positioned. This will help to make your deck very exciting and will attract family and friends. If your deck is not comfortable with the right furniture to sit on, there is no way you will have people come there. Make sure all the furniture you make available merge in very well with the design and style of the deck. Whether you have isolated or attached benches, they need to always merge by you building them from the same materials that were used to build the deck. When you merge the chairs in, it tends to look very unique and also a part of the deck in a way. 7. Use more natural shades. Everything natural is calming, safe and also very refreshing. So, with natural things in your deck, staying there will be fun. You can always use plants to bring more life into a space or to make softer the edges of the deck. These can come in form of flowers or foliage. If you have a wooden deck, you can always hang or put them on bricks or other stuff to make sure they do not have close contact with the floor when you water the plants – which can more often than not lead to decomposing of your wood. Make sure you take very good care of the flowers. 8. Make use of containers for color and height. Decorating your deck is very important if you do not want to have your deck feeling boring and having nothing special to be blissful about when you are there. You can always dress your deck up with beautiful containers to bring some light and shine into your deck. You can also perk up specific areas along railings or better still, close to an entry with pots that can contain tall and beautiful plantings like coleus, lantana and the tropical canna ringed with fuchsia. You can also plant vegetables. Yes, you can find a perfect spot away from your deck where there is constant provision of sun to grow some tomatoes, herb gardens, etc. When you beautify your railings, you make it welcoming and you are able to give the world a very good statement about yourself. You can always make a style statement with railings because they can offer more than just improve the safety and appearance of the deck. There are so many products that can be used to improve the look of railings so search the internet and you will find a long list of them. 10. Grow for health sake. There is always a way out for people who have always had gardens in their outdoor space but have had to cut most part down just for their deck. Do not feel sad if you have had to destroy your garden just to build or improve your deck. You can always grow vegetables in containers on your deck in order to achieve an free look and some tasty homegrown dinner. It is always easy to start with tomatoes. This is because they are very easy to plant. You can then continue the process by planting beans, peas then carrots. Planting them can be easy if you put them in containers and put them on rolling supports this way, moving them from one place to the other will not be a problem. Do not always go for normal or ordinary railing designs. Make sure you are always ready to set a standard. Although safety is very important, there is the need for the right and also very beautiful railings to be fixed. You can always add and combine materials that will match with the home exterior and style of your home exterior. You can always use glass panels to provide ample protection. Glass panels can also help to improve the style of railings and make them look better with more fashionable style. 12. Make sure the screening is set up very well. If you love your deck but do not like the view of what you see when you sit on your outdoor furniture in your deck, you can always create unique borders to change that. Setting up screens will do you a lot of good. 13. Include pop with bright accents. You can always spice up your deck with outdoor furniture that is painted with exciting accents. This will always attract people from all parts of the home and even friends. Choose color schemes that improve the exterior of your home’s exterior and layer on pillows not forgetting some bowls and vases to provide your outdoor setting with a very cozy feel. 14. Combine deck illumination with screening. You can always extend the time in which you stay on your deck by making sure the right lights are installed. When this is done, these outdoor lights are wired straight into decorative screens which help to brighten up the seating area and make other activities very easy to go about especially when it is evening. You do not need to blend or match night time and interior brightness. Just make sure the light available is bright enough and safe. 15. Find the right outdoor furniture to chat about. 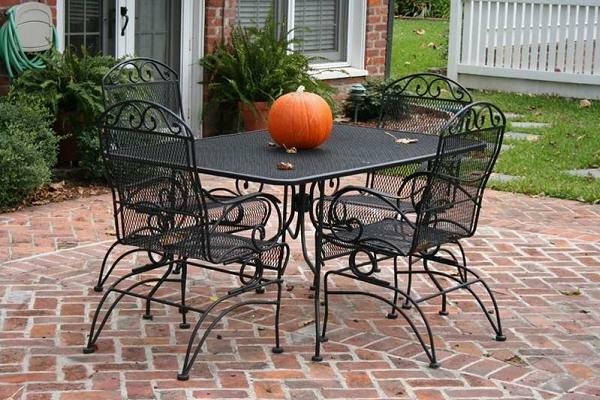 Outdoor furniture come in different heights and shapes so, always make sure you choose the right seats no matter what. Make sure you know the space of your deck and choose outdoor furniture that matches perfectly. 16. Wire your deck for sound. Having a weatherproof outdoor sound system is one of the best ways to make your deck a home for parties. Make sure you have the best speakers and also woofers to make your deck a perfect place for a party with the right wires and sound. You can always give your deck a good look by replacing all tired wooden rail spindles with ones made from wrought-iron. If your area has weather issues, make sure you design it to be resistant to rotting. Before you buy any outdoor furniture, there is the need to be certain of the various options that are accessible to you with that particular outdoor furniture. Make sure an outdoor rug is included and also a fire pit. Make sure your deck is very glamorous and is very beautiful. You can always add a hot tub to your deck. 20. Bring the inside out. You can always extend your living room space onto your deck to make access to the deck very easy and to also be a nice escape route.